Since October of 2012, millions of educators and stakeholders from around the globe have participated in Connected Educator Month (CEM). One of the themes for this year’s efforts, Future Ready, explores the challenges that school and district leaders face while preparing today’s students for tomorrow (CEM, 2015). The Future Ready pledge builds upon President Obama’s ConnectED initiative which proposes that 99% of students in the U.S. will have access to high speed broadband by 2018. In order for this vision to become reality, schools need funding. District leaders have many important decisions to make when planning for Future Ready schools. First of all, schools need better bandwidth to support the devices and digital learning programs. The FCC supports the Future Ready movement with an enhanced E-Rate program. Through the E-Rate program, eligible schools and libraries receive discounts of 20%-90% off of the regular charges for telecommunications and Internet services. The extent of the discount depends on the poverty level of the school population or whether the school site is located in a rural or urban area. 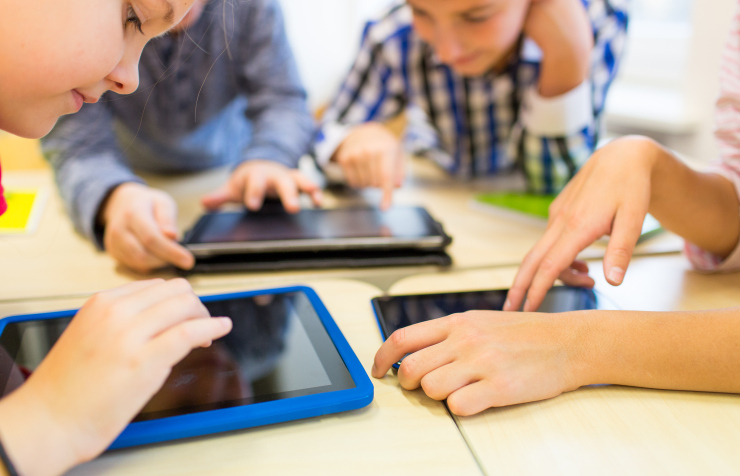 The reformed E-Rate program will extend Wi-Fi access to over 10 million students this year (FCC, 2015). But as schools and school districts incorporate educational technologies, a more dynamic form of communicating Acceptable Use Policies is essential to manage the use of digital tools for teaching and learning. Furthermore, by enabling Verified Parental Consent, schools and school districts demonstrate practice with regard to student data use. VPC is a crucial part of addressing the parents’ needs and concerns about their child’s information privacy by building a partnership of trust in the education community. 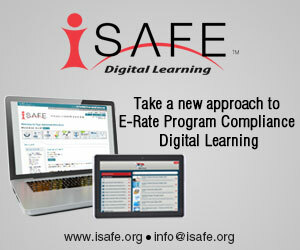 In celebration of Connected Educator Month, i-SAFE Ventures has had the privilege of empowering school and district leaders in shaping Future Ready schools by presenting two Webinars. 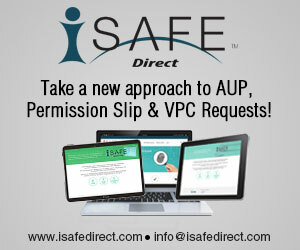 In the first Webinar, “Rethinking Acceptable Use Policies,” Jonathan King, CSO of i-SAFE Ventures, addresses the challenges of managing AUPs in an ever-changing technology landscape. Schools implement 1:1 and BYOD programs, adopt e-Learning and m-Learning platforms, utilize social media as communications channels, and install online educational programs to enhance learning. Thus, school and district administrators must regularly adapt and improve upon Acceptable Use Policies. Verifying that students and parents have read, understood and agreed to abide by the responsible use guidelines is not only challenging at times, but time-consuming and expensive through paper-based processes. King provides digital solutions for AUP management and streamlined processes for implementing AUPs; holding, educators, students, and parents accountable while protecting school administration from liability. King also shares how schools and districts can comply with CIPA/E-Rate mandates to receive funding for an improved technology infrastructure. Did you miss the Webinar during CEM? Click here to register for another chance to attend Rethinking Acceptable Use Policies. The second Webinar, “Safeguarding the Future,” unveils the importance of obtaining Verified Parental Consent (VPC). What does Verified Parental Consent mean for the education community? District IT Directors, Risk Managers and Compliance Administrators face a unique challenge. School leaders, online contractors, educators and parents are responsible for protecting student privacy online. Sometimes these legal rights and responsibilities seem to conflict with one another. The online services that schools use may require student personal information to function. 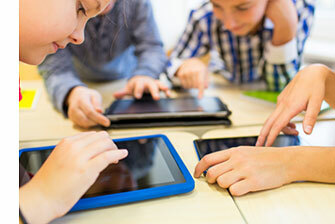 Furthermore, companies that offer educational products to schools may also advertise or offer games and apps to students for their entertainment. Under the Children’s Online Privacy Protection Act (COPPA) school districts have an exemption for educational programs. The Family Education Rights and Privacy Act (FERPA) is a federal law that allows schools to disclose students’ personally identifiable information (PII) without notifying parents. Although Federal law permits schools to provide online services with student information, parents and guardians still have significant legal rights. The use of educational programs at home and adoption of commercial sites for educational use can present some risk factors for non-compliance for both COPPA and FERPA. In the presentation on VPC, King discusses the regulatory landscape, and provides tools and tips to help schools become Future Ready and implement best practice to safeguard child identity. He shares how to simplify compliance with Child Privacy regulations with i-SAFE Direct while simultaneously allowing parents to proactively manage permissions and approve of their child’s use of a particular service in real time. Want to know more about Verified Parental Consent? Don’t miss another live event! Keep up with what’s happening. Follow @iSAFEVentures on Twitter.